Ebates gives you back a percentage of your spending. Rates change frequently. Look out for double cash back! You can combine coupons, gift cards, and online promo codes to save even more. In fact, Ebates provides you with all applicable promo codes directly on their website. For online shopping, add the Ebates shortcut to your toolbar (or on Chrome as an extension). Whenever I click on a participating site, a pop-up reminds me to activate my cashback. For in-store purchases, get the Ebates app. Link your account to a Visa or American Express card. Then link available offers to your favorite stores (limited to those listed, of course). Choose how you want to get paid: PayPal (my choice) a check, or a check to someone else (including your preferred charity or organization). Ebates has great customer service. There are times when I’ve ordered something online but forgotten to click on my Ebates account. Every time that I’ve reached out to them, they’ve credited my account. It’s hard to narrow it down to ten. For a full list of participating online stores, click here. Besides the ability to search for a particular store on Ebates.com, you can search for a particular item. This feature brings up all participating stores that carry the product, with prices, applicable promo codes and how potential earnings in Ebates bucks. Finding the best deal doesn’t get better than that. This morning, I got an alert from Groupon regarding their 20 percent off sale on local deals. I’ve been wanting to try a new yoga studio. Today, Ebates has double-cash back for Groupon, at a whopping 9 percent. I then applied Groupon’s promo code. So, I got ten classes and a new yoga mat (already a steal at $110) for $80, once the promo and Ebates kicked in. Remember that not only do percentages change periodically, but so do participating stores. Ebates is too simple not to use. To date, I’ve earned close to $600! 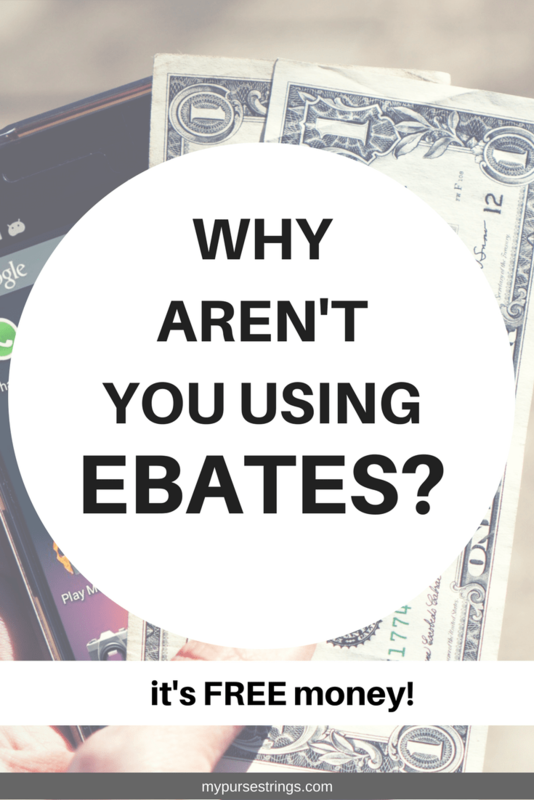 This is not the first time I’ve written about Ebates and it probably won’t be the last. Check out my prior posts on combining Ebates with gift cards and also with in-store pickup. I can’t wait to hear your thoughts on this one. Be sure to follow me on social media (Facebook and Twitter) where I often share a deal of the day! Shop smart, my friends. Super article ..thank for sharing such articles. Thank you! This week I got two amazing deals by combining Ebates and Groupon. It wasn’t on my list of topics to write but I had to share.